So do you want to go where the medals grow? Last week's choice of a Cayenne S as our Pill revealed a good measure of enthusiasm for the rugged charms of Porsche's SUV, and even got the vendor chiming in, but many of you didn't think it was quite brave enough. 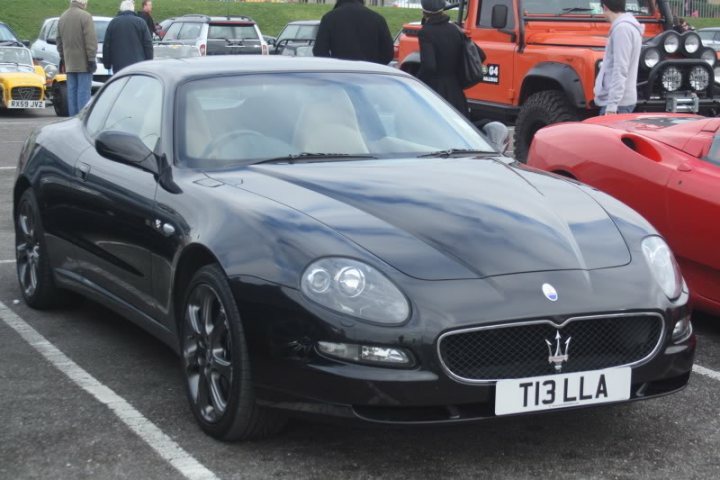 With that in mind, here's one that's been turned up to 11: an enticingly low-cost Maserati 4200GT. 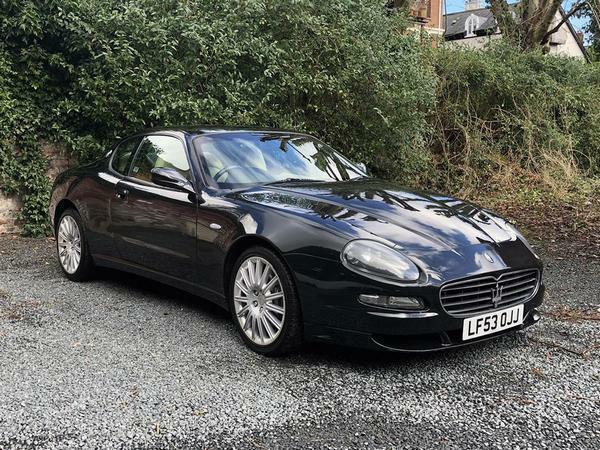 As you might expect, there are a couple of teensy issues with this sub-£10K Maser. Firstly the fact it was, in the distant past, stolen from former owner and one-time footballist Dwight Yorke, a fact the seller admits is still reflected in its recorded history. Secondly that it is located in Northern Ireland which, although a beautiful place, won't be down the road for a majority of PHers. But then, to circle back to the important point here, this is a four-figure Maserati with low mileage and a sonorous Ferrari-developed V8 sending drive to the stern. What's not to like? 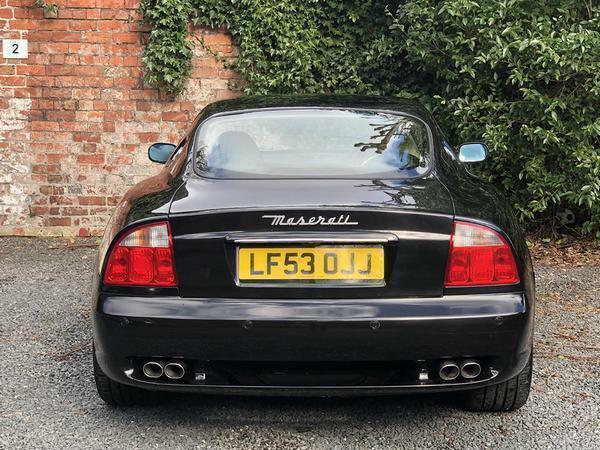 After a long period of not much, producing tiny numbers of its angular coupes, Maserati discovered both curves and increased sales success in the late 1990s. The 3200GT was launched in 1998, its muscular styling the work of Italdesign (under the personal supervision of big boss Giorgetto Giugiaro) and with a version of Maserati's long-lived twin-turbo V8 delivering 370hp. The engine's low-down muscularity was such that the chassis could struggle to cope with the gusty torque delivery; on the original press launch one car ended up parked neatly on its side after an attempt to take a hairpin at a spirited pace engendered rather too much oversteer. (It wasn't me, honest.) But it looked stunning, snarled like a hungover tiger and was faster than many bona fide supercars. 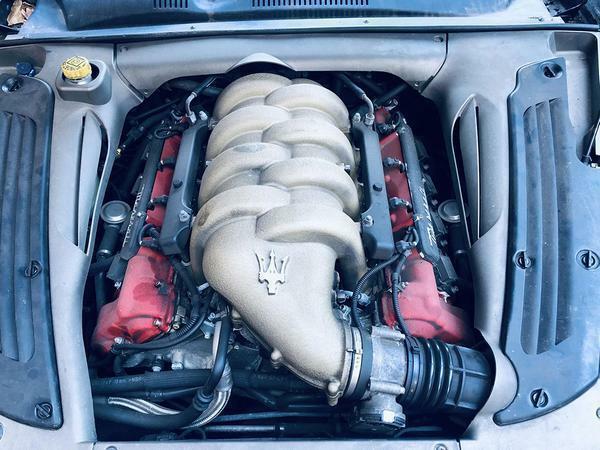 Officially renamed as the Coupe and Spyder in 2002, but universally known as 4200GT, Maserati switched to a naturally aspirated Ferrari-developed 90-degree V8 which, in much-developed form, is still in the GranTurismo. As launched the 390hp 4200GT outgunned the 3200GT on paper, but the loss of the earlier car's low-down turbo punch meant that it didn't feel as quick or lairy as its predecessor. Design was also tidied up a bit and the cabin was updated, but the new car also lost the 3200GT's much-imitated 'boomerang' rear taillights, to near-universal disappointment. Both iterations have their fans and values now overlap. The truly ratty 3200GTs that used to appear to widespread internet amusement seem to have either died out or, more likely, have been tarted up to respectability as values have started to rise. These days the 4200GT tends to vie with early 'M139' Quattroportes to offer the cheapest way into modern era Maserati ownership; the brawnier GranSport which was developed from the 4200GT still carries a respectable premium, though. But the stock standard 4200GT is a good place to be. Even in its least powerful guise the Maserati-Ferrari V8 is the thing of wonder, revving with an animalistic passion towards a 7,500rpm red line and yet murmuring creamy nothings under gentle use. Although physically big, a full foot longer than a 996 911, the 4200GT's standard 'Skyhook' dampers should - if still in fettle - allow for both respectable long-legged refinement and keep things reasonably well lashed down in Sport mode. The gearbox is more of a bone of contention. The 4200 GT was available with a manual, itself a fairly clunky 'box, but this car is one of the many that had been specified with the automated single clutch 'Cambiocorsa' system which was pushed on the basis of its flappy paddles and relationship to Ferrari's F1 system. Snappy, smooth and quick-witted are just three of the terms that will never be used to describe this robo-box, with a significant pause between ratios that will make it feel broken to anyone with experience of a modern twin-clutch. Owners say you get used to it quickly, and the system does have some fans, although its following is more FA Vase first round replay than Champions' League final. No matter, however transmitted to the road, performance of the 4200GT will still be more than impressive. I remember being comprehensively dropped by one I encounted on a quiet stretch of Autostrada a couple of years after it had been introduced. 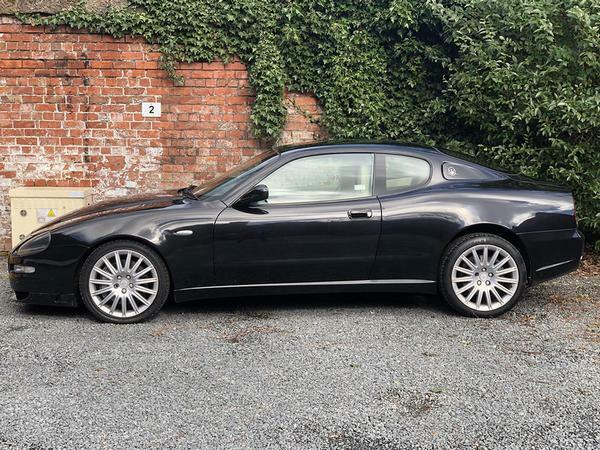 The Maser was travelling at a pace that suggested the driver had a blood relationship with the head of at least one of Italy's many police forces and I was trying to keep pace in what should have been a well-matched Monaro VXR. It wasn't even close; Italian horses were clearly more muscular than Aussie ones. The dull, sensible question is what might go wrong. The answer is plenty, from various electrical maladies, leaks, rust, all the way to the expensive failure of the pump that powers the transmission hydraulics. Routine servicing is wallet-biting expensive and enthusiastic use will munch brakes and tyres. Real world fuel economy is unlikely to rise above the mid-teens, too. The only way to run a cheap Maserati is with a healthy contingency fund and a sense of humour when the bork fairy waves her wand. But let's give that question a spin, and ask what might go right? 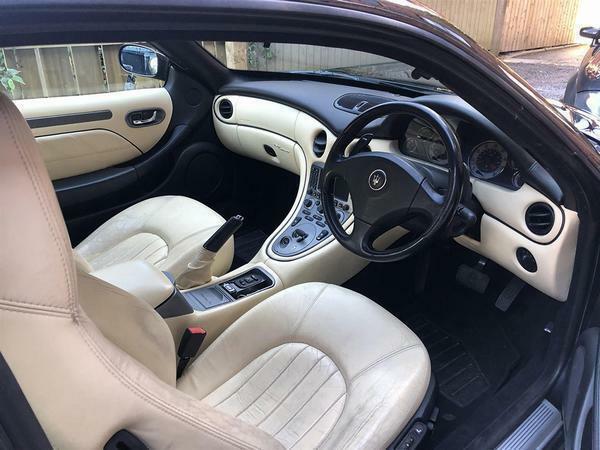 This car has done just 44,000 miles and comes with what the vendor promises is a stack of history, plus evidence of some recent sympathetic spending. Being in Northern Ireland denies us the chance to check out the recent MOT history and the seller admits to a scratched bumper. The cream leather seats are also wearing a patina that suggests somebody has spent a long time in them in very blue jeans. But overall, wouldn't you say it already looks far more expensive than it actually is? With a modest investment of elbow grease - and likely also the need for a low-cost flight and a ferry ticket - this could be an almost-Ferrari for less than Fiat money. I owned a 2005, facelift model for a few years. A good, fun car. Get one with a low mileage clutch, get a good indy garage to fettle it and you'll really enjoy your ownership. Keep it in sport mode and the pretty rubbish gearbox becomes bearable, then enjoyable. I chopped it in for a 2006 Quattroporte. Now, THAT was more event than car! I'll buy another 4200CC sometime soon. I remember reading that the final iteration of this model the Gransport was the best to have in terms of car and manufacturing quality. Anyone with experience of 3200/4200 & the gransport ? Considering the price, there is nothing to fear really, pump is an alfa part for 300, clutch is DIY possible, the engine is mostly bulletproof (just keep an eye on the water pump / oil pump), keep it serviced by a good indy and enjoy. The brave pill aspect came, when subsequent owners tried to run cars like this on shoestrings and in general weren't sympathetic to the mechanical side, so after culminating non-service for years, something has to bork. Electrics have a tendency to light up or not, but you can obd these fairly easy too. It probably will get better with extended use. By the way, you get used to the CC, after a while it is just part of the whole experience, which is so totally the engine and the looks.